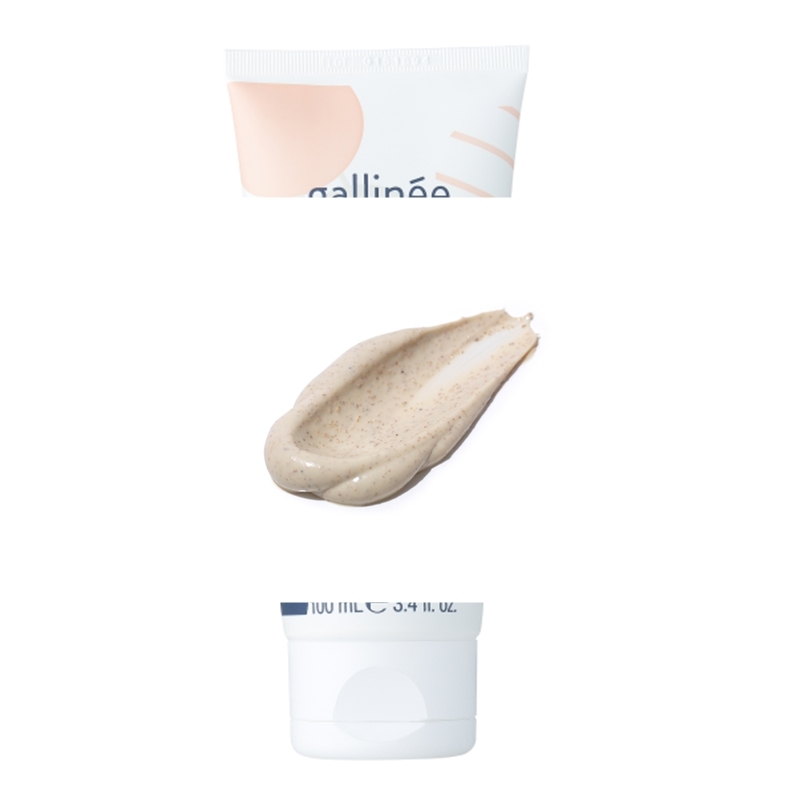 Treat your skin to a two-in-one treatment when applying the Gallinée Face Mask & Scrub. Applying a face mask is the go-to skincare treatment to help you tackle your skins concerns efficiently and effectively. Picking the right face mask can help hydrate, balance, improve skin tone, while also draw out impurities to leave skin feeling clean and looking refreshed. Face masks formula's have changed from the standard one ingredient, to include beneficial active ingredients for you to see visible results each time they are used. 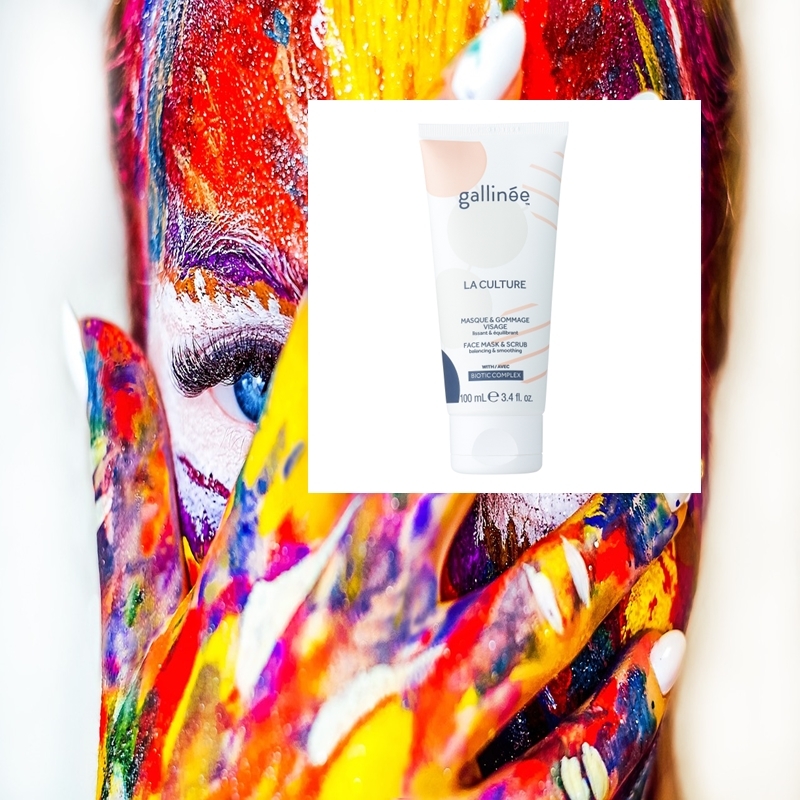 KAOLIN - A popular ingredient used in masks to help cleanse, exfoliate dead skin cells, absorbs excess oil. OLEA EUROPAEA (OLIVE) SEED POWDER - Crushed pits of Olea europaea (olive) to provide exfoliation of the skin. GLYCERIN - Humectant that draws moisture to the skin and helps keep skin soft and smooth. DECYL OLEATE - Acts as an emollient and barrier to leave skin soft and velvety smooth. LACTIC ACID - A popular AHA that helps reduce acne breakouts and the signs of ageing. ZINC PCA - Synthetic skin-conditioning ingredient derived from zinc that has anti-ageing benefits. PANTHENOL - Provitamin B5 that penetrates the skin to provide hydration. TOCOPHERYL ACETATE - A form of vitamin E.
MARIS SAL (SEA SALT) - Containing magnesium, sodium and potassium to enhance the skins ability to retain moisture. CAPRYLYL GLYCOL - Skin conditioning agent with antimicrobial activity. TOCOPHEROL - Nutrient and antioxidant activity (Vitamin E). I have only highlighted some of the key ingredients, the full list is available on the link to purchase (In Blue) at the bottom of my blog post. Cleansing the skin to remove any products on your face, this will provide a clean base for the mask to get to work on your damp skin. Massaging gently over the skin, you will notice the gritty texture in a creamy paste for you to cover the whole of your face. Waiting patiently for five minutes you can admire the light fragrance that influences your wellbeing, before rinsing off to admire brightened, balanced, and smoothed skin. 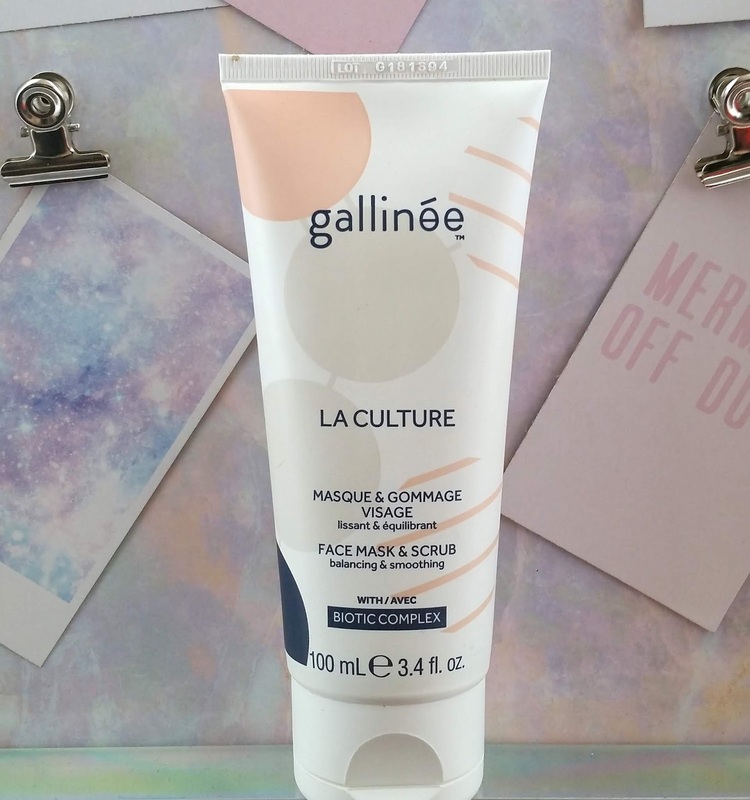 Face masks are great for the winter months to provide hydration, while in the summer they are ideal to absorb excess oils, the Gallinée Face Mask & Scrub is perfect to use any season of the year! X Neil.